The EARTO Executive Board has elected Antti Vasara as President of EARTO. The former EARTO Vice-President has taken on his new seat today, after receiving unanimous support from EARTO General Assembly Members. 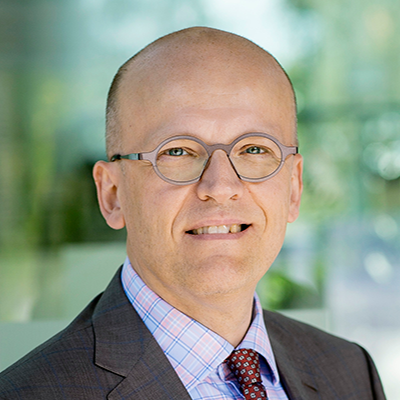 Dr Antti Vasara is the President and CEO of VTT Ltd. VTT is the leading and largest multi-technology Research and Technology Organisation (RTO) in Finland. Antti Vasara is a technology industry executive with close to 20 years of P&L and general management experience from international companies as well as board of director experience from several public and private companies in Finland, Canada and the UK. At EU level, Dr Vasara is currently a Member of the EU High-Level Strategic Forum for Important Projects of Common European Interest, as well as of the High-Level Industrial Roundtable “Industry 2030”. In Finland, he is a Member of the Finnish Research and Innovation Council, in addition to being a Member of the Board of Directors of Elisa Oyj, Jane and Aatos Erkko Foundation and Confederation of the Finnish Industries (EK) as well as Chairman of the Board of Service Sector Employers PALTA. Prior to joining VTT, Antti Vasara has held several management positions in McKinsey & Company, Sonera, Nokia and Tieto. Earlier in his career, Dr Vasara was a researcher in the field of optical communications at the Helsinki University of Technology and holds one international patent. “Europe’s success has always built on research and applying it for the benefit of society and economy. We live in a time where opportunities are plentiful for those who are willing to take the initiative. Innovativeness, scientific competences and customer-centricity are things that set RTOs apart, and we play a significant role in helping Europe to take the initiative to thrive also in the future. I am very honored to work together with all RTO colleagues for the good of Europe through EARTO”, says Antti Vasara. The EARTO Executive Board has also welcomed the nomination of Iñaki San Sebastian as Vice-President of EARTO. He has taken on his seat today after receiving unanimous support from EARTO General Assembly Members. Iñaki San Sebastián is the CEO of Tecnalia, since March 2016. As RTO in the Basque country in Spain, Tecnalia is the essential bridge between RD&I and competitive business reality, developing technological assets for business generation in the form of industrial property, know-how and investment in technology-based companies. His professional career has always been linked to the field of research and the business world. Iñaki San Sebastián serves in several relevant national and international committees at Spanish and EU level, such as the Steering Committee of EARTO and the Executive Committee representing Spanish Technology Centres. He is also Member of the Board of Directors of several spin-offs and participates in several clusters and business associations as Member of the Executive Board. After working for 16 years for Fatronik, Iñaki San Sebastián was appointed Managing Director in 2008. Simultaneously, from 2008 to 2010, he held the position of Technology and Market Manager at Tecnalia Corporation. In 2011, after the merger of 8 Technological centers into Tecnalia, he was appointed Deputy Managing Director. Iñaki San Sebastián obtained his Master’s Degree in Industrial Engineering from the University of Navarra in 1989. In 2007 he received a Master’s Degree in Business Management (MBA-Executive) at the University of Deusto and in 2015 a Master Senior Management Program (PADE) by IESE Business School. “I am strongly convinced that RTOs make an important contribution to a competitive European economy and high quality of life, and EARTO is a key partner to help us reinforce our industrial competitiveness at time of great challenges. Thus, I am honored to contribute to our network as EARTO new Vice-President, together with EARTO President Antti Vasara, aiming at promoting RTOs and representing their interest in Europe” says Iñaki San Sebastian.